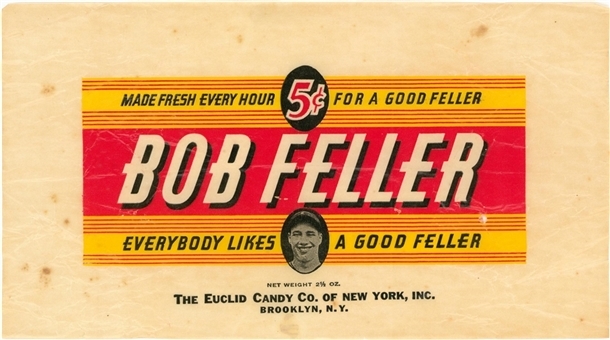 This impressive, approximately 5-1/2" x 10" wrapper once held a Euclid Candy Co. confection endorsed by Hall of Fame pitcher Bob Feller. 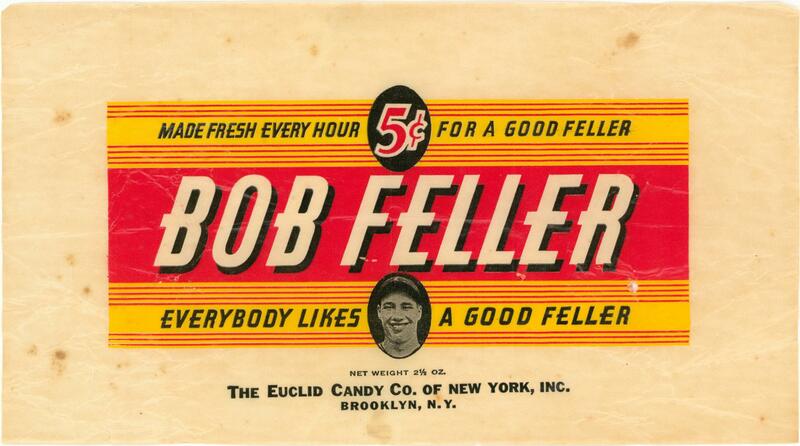 An item that's almost never seen in the hobby, it's believed that most of these wrappers were saved and then returned to the company to satisfy a tempting redemption offer. A grand display piece, the delicate item concedes standard wrinkling and routine shelf wear.